Owl Always Be Reading: Help #Frostbite become a reality! Help #Frostbite become a reality! Let’s show the producers that we do care about this movie and are dying to move forward. Let’s be honest we are all dying to see who they cast as Adrian. *le swoon* Anything you can donate will be a huge help. If you happen to be one of our international followers there is so huge news for you guys too. 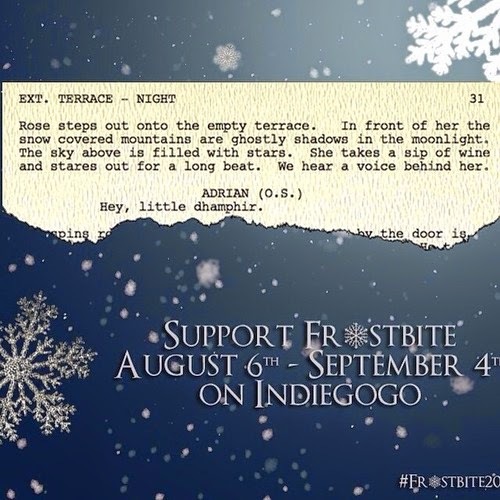 Not many of you got to see VA in theaters, but if you donate $30 or more you will be getting a Digital Download copy of Frostbite along with a PDF of the script!